While many enjoy vacationing at the beach, others prefer a relaxing stay in the mountains or near a lake. Still others, enjoy spending their vacation in a quaint little town or the quiet country side. 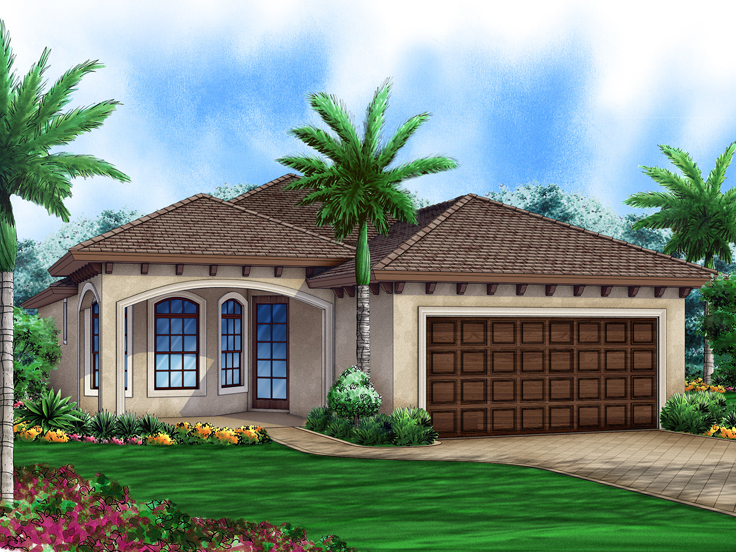 No matter where you like to vacation, we have a house plan that will fit your desired setting. 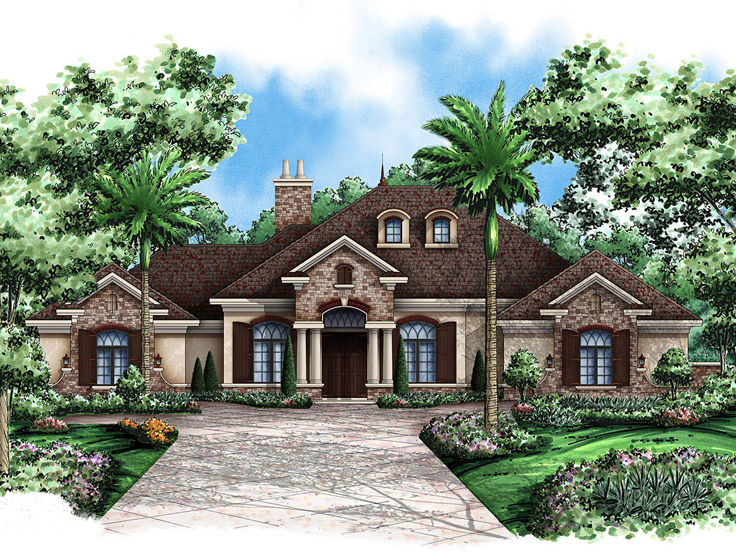 Our vacation house plans are available in a variety of styles and are typically no larger than 1500 square feet. The floor plans offer the comforts of home in compact and efficient fashion allowing you to enjoy your vacation rather than spending your free time taking care of home maintenance. Below are two vacation house plans that will get your started on your search for the perfect vacation house plan that will fit your lifestyle and preferences. 052H-0105: Who wouldn’t enjoy home away from home when it includes the ocean? 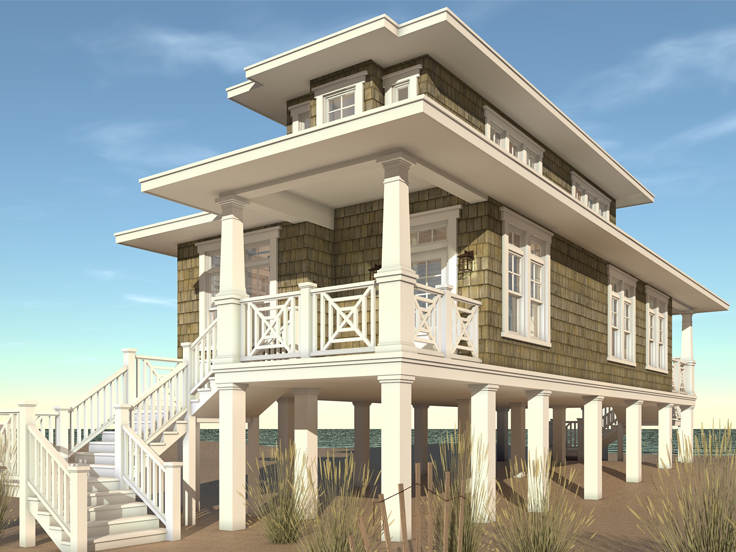 This beach house plan is built on pilings and has much to offer from stowing beach gear underneath to stepping out onto the top floor watch deck to check the weather or enjoy the sunset. A covered back porch provides room to sit and enjoy the sound of the waves while the kids build sand castles. Meals are easily prepared in an efficient kitchen and enjoyed at the island snack bar. Two bedrooms, one a master suite on the top floor, two full baths, a laundry room, closets and walk-in pantry round out the plan to make your vacation comfortable and relaxing. 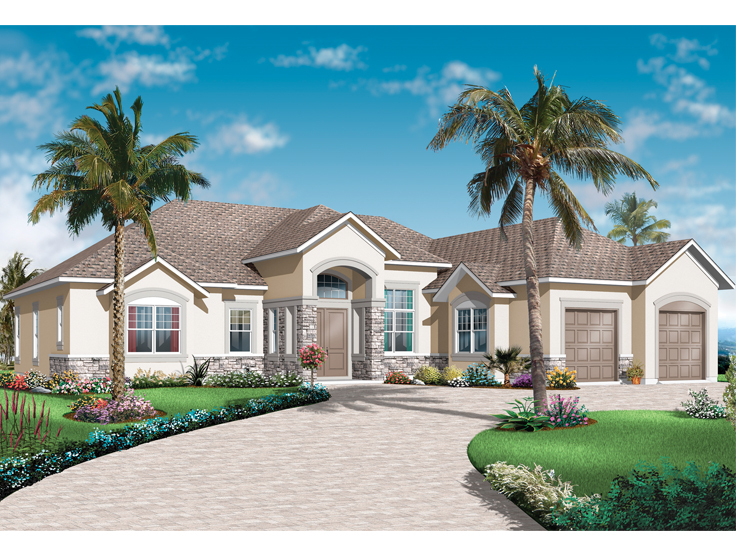 062H-0089: Vacation house plans can deliver more than just the comforts of home. 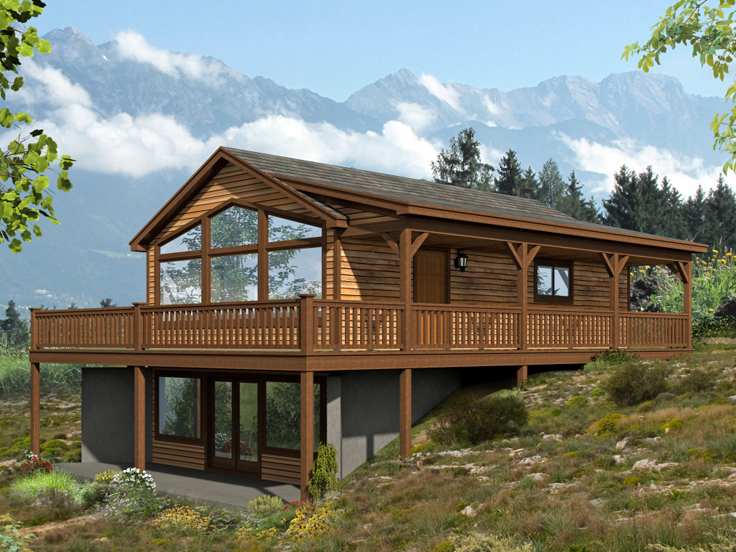 Take a look at this cabin and how well this plan works on a sloping lot. It is ideal for a mountain side, or lakefront property. The floor plan delivers all the amenities that one needs to enjoy their vacation like a kitchen, full bath, bedroom, family room, and breakfast nook. An optional basement plan expands the living space to include another bedroom and bath plus a den with wet bar. The aesthetics of this comfortable cabin can’t be overlooked. Check out the family room with its spacious vaulted ceiling and wall of beautiful windows sharing the landscape with its occupants. Cleverly designed to create a covered patio below, the wrap-around deck provides an even closer opportunity to enjoy nature’s contributions. If you’re looking for a rustic vacation home, a coastal design or something in between, our collection of vacation house plans will have something to please you.